Today, Elaine is writing about how to prioritize sleep so that you have a well-rested baby, but also feel like you can get out of your home. 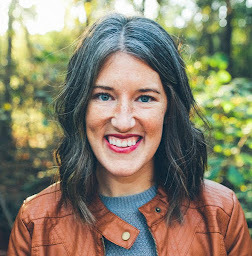 She gives some really great advice in the area of sleep, so you definitely need to pop over and read her post! One thing I love about Babywise is the nap structure. 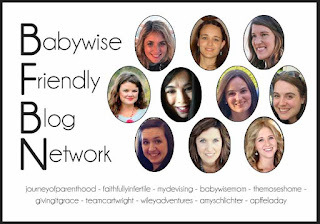 I know there are non-Babywise folks who have kids that are good nappers, but for me, Babywise is what got me there. Not only do I enjoy the fact that my kids sleep well, but I enjoy that there is a natural progression we can follow when it comes to naps and sleep. 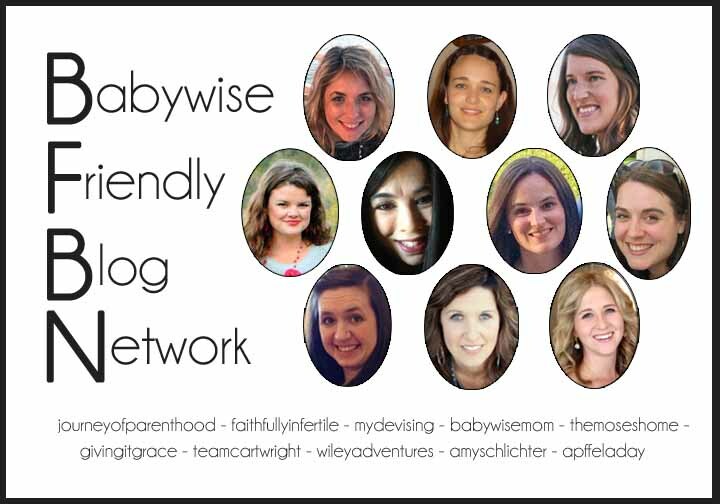 Babywise lays it out there for us. 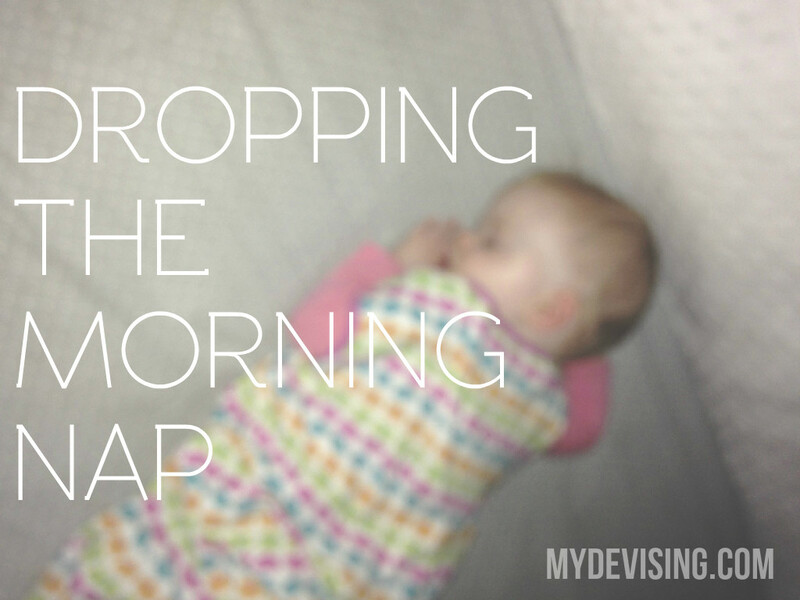 We know when our child has entered nap-dropping range and we know what to look for. Typically, you know it's time to drop a nap when something changes in your child's sleep - taking a long time to fall asleep for naps, waking early from naps, waking in the night. Now, if your child has not been napping or sleeping well period, don't immediately jump to dropping a nap. Most likely, that points to a different cause - needing to adjust feedings, over-tiredness, or changing waketime to be either shorter or longer. Dropping a nap is usually the solution when a normally well-rested baby suddenly stops sleeping well. If you're in an appropriate nap-dropping age range and you know there aren't any feeding issues, growth spurts, or illnesses to deal with, then it may be time to adjust naps. I wrote a little about Duke's 3-to-2 nap transition here and wrote a lot about his 2-to-1 nap transition here. That transition, going from 2 naps to 1, is what I want to focus on today. But this time, I'd like to map out how Nova made that transition. She did almost exactly what Duke did, as described in this post. I'm going to use those same 5 phases (inspired by some great song lyrics) and talk a little bit about what each of them looked like with her. PHASE 1: HEY-EY-EY-EY, HEY-EY-EY, I SAID HEY, WHAT'S GOING ON? Usually, an afternoon nap that suddenly gets shorter/worse means that an adjustment needs to be made to the morning nap. Nova's afternoon nap started getting shorter around 10 months. She wasn't sleeping as well and I knew that meant the transition had begun. PHASE 2: I THINK A CHANGE WOULD DO YOU GOOD. The first step to dropping the morning nap is to cut it down. With Duke, this process was a slow and gradual one, but Nova demanded a pretty quick shift. She went from a normal 1.5-2 hour morning nap at 10 months to a 45 min.-1 hour and 15 min. morning nap at 11 months. At 12 months, we had to limit her morning nap to 30-45 minutes or else the afternoon nap was a disaster. So for this phase, you have to pay attention to your child and to what their optimal nap time is. It's going to be different for every baby. PHASE 3: YOU DON'T REALLY WANNA STAY, NO. BUT YOU DON'T REALLY WANNA GO-O. In this phase, you may find that your baby will take a solid 45 minute nap one day, a 20 minute nap the next day, and then completely fight it another day. For people that are structured (especially us Babywise people), this can be hard to accept. Just know that it's okay for your days to look different as this transition is happening. PHASE 4: RENDEZVOUS THEN I'M THROUGH WITH YOU. Nova completely dropped her morning nap at 13 months, which was 2.5 months earlier than Duke did. She was over it, and I could tell. That's just proof that you can do the same thing with two kids and get different results. PHASE 5: I'D RATHER WORK ON THIS WITH YOU THAN TO GO AHEAD AND START WITH SOMEONE NEW. We are in this adjustment period right now. In my experience, two things have to adjust. First, you and your baby have to adjust her being up all morning long. For us, it's pretty imperative that we get out and do something every day to help break up the morning and avoid fussy spells. The great thing about this phase this time around is that Nova has a buddy to keep her entertained. Second, the afternoon nap has to adjust. It may only be around 1.5-2 hours some days as your baby is learning to lengthen that nap. That's where we are right now. There are occasional days that a 2.5-3 hour nap happens, but for the most part, the naps are on the shorter end as her body figures out how to stretch it out. Phase 1 hit both kids at different times (Nova - 10 months, Duke - 12 months), but for each child, it was about a 3-4 month process of chipping away at the morning nap to make for a better, longer afternoon nap. Duke was officially down to one nap at 15.5 months and Nova was down to one nap at 13 months. Hopefully this will help some of you as you drop down to one nap a day! Hello! How long would you say it took to go from 1.5-2 hrs to 2.5-3 hr naps? Hi! So sorry I'm just now responding! I would say that it could take a few weeks up to maybe a couple of months to make that transition, depending on the child. Hope things are going well!